Sometimes determining if you have a plumbing leak in your home is a little harder than you think. Unless the leak is leaking out into your living space, it might not be so apparent. There are many instances where the leak in your home leaks internally (i.e. within your walls or some other hidden part of your plumbing system) in these instances a leak might go unnoticed for a while. 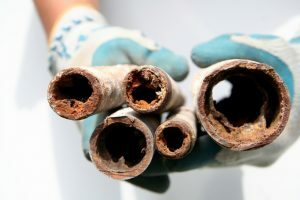 If you have your suspicions that something is going on with your plumbing system, but you can really determine what’s wrong, look for the signs detailed below. The best way to determine if you have a leak is through professional assistance, so if you need a reliable team for your plumbing services in Normal, IL then contact our team. One of the most frustrating inconveniences that you can have is a drain clog. They hinder you from using vital things in your home like sinks and showers and they’re hard to fix on your own. Luckily, there are a lot of easy ways to avoid drain problems in your home. You don’t have to struggle through drain problems. The best practice is prevention when it comes to your plumbing system, so we’ve compiled a list of helpful tips to keep your plumbing in shape below. If you do have a problem and need drain cleaning in Champaign, MN then contact our team.